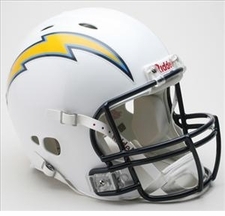 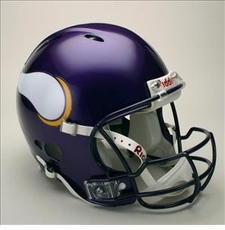 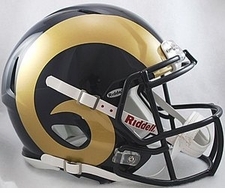 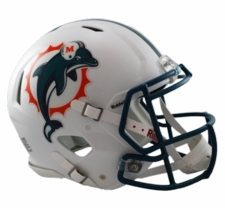 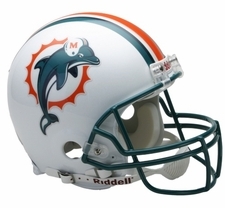 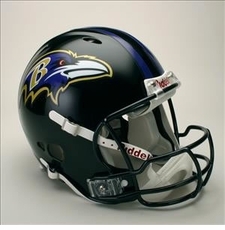 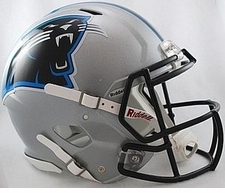 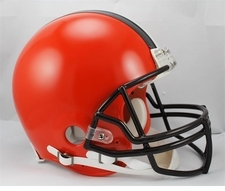 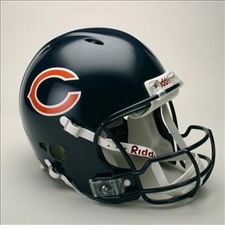 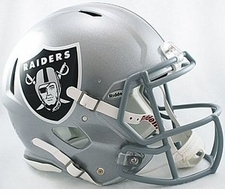 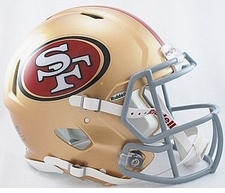 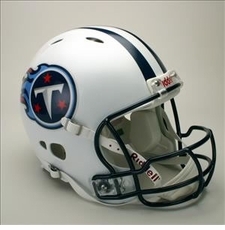 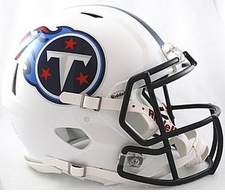 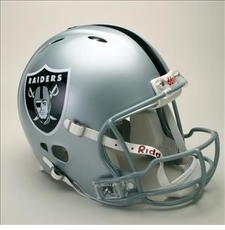 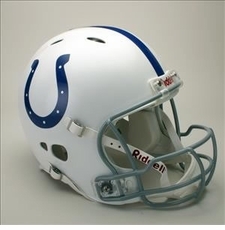 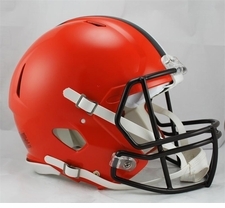 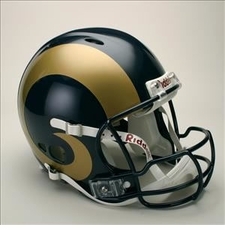 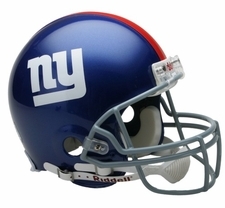 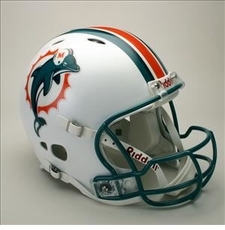 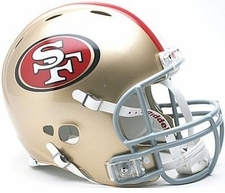 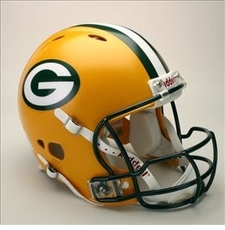 The striking shape of the future and the most significant design change in football helmets in over twenty years. 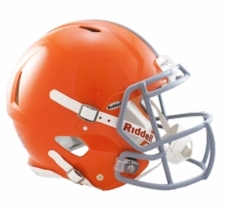 The Riddell Revolution Speed and Revolution helmets were designed after a four-year-study to address the causes of mild traumatic brain injury. 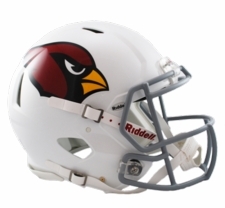 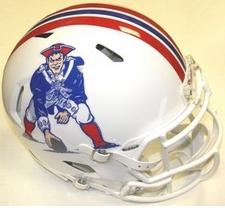 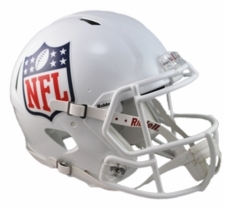 Each Revolution Pro-Line full-sized helmet is the actual helmet NFL teams wear on the field. 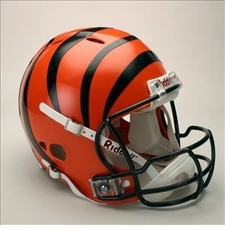 The Revolution / Revolution Speed designs include: an extended mandible (jaw area) protection, increased side padding, integrated facemask attachment system, weight balance redistribution, and distinguishing elliptical air vents. 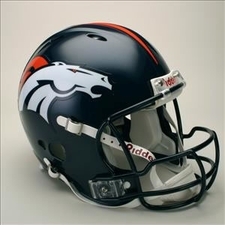 Helmets are made in a standard size large by the manufacturer. 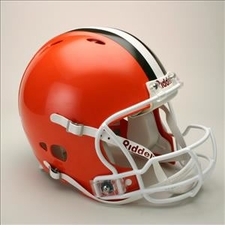 Just like the players wear. 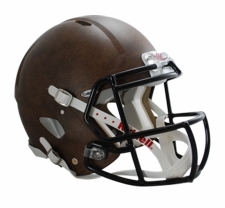 Each Proline helmet measures authentic size and weight with a complete interior pad set. 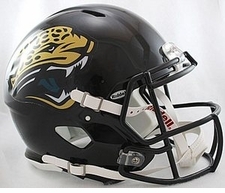 Helmets have official game style team decals and colors, along with authentic steel faceguards. 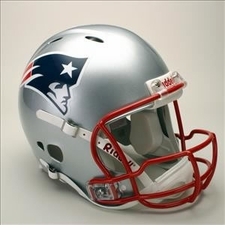 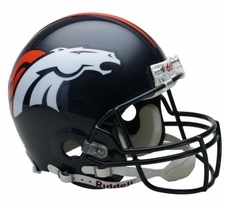 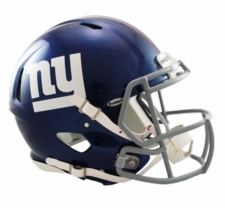 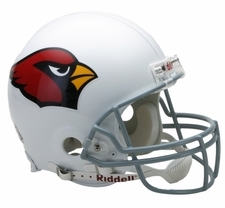 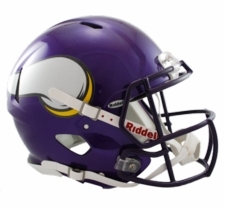 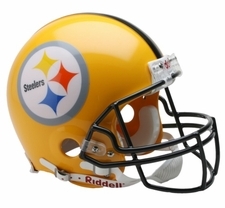 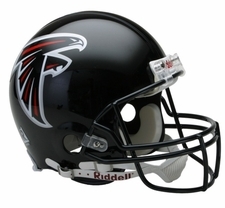 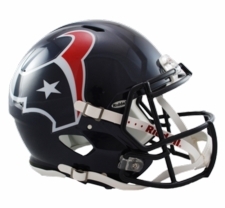 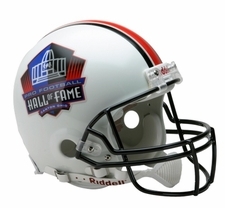 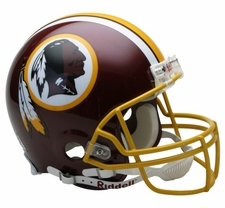 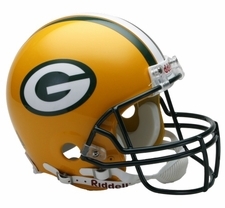 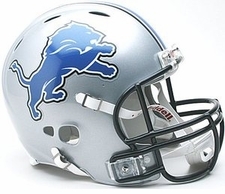 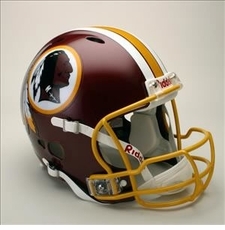 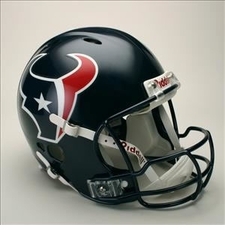 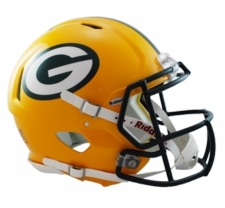 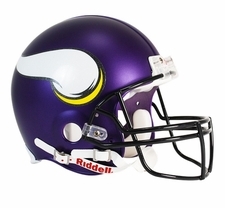 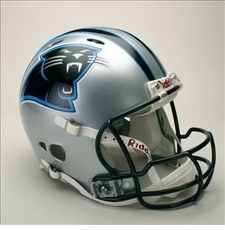 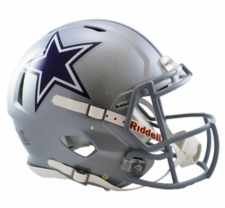 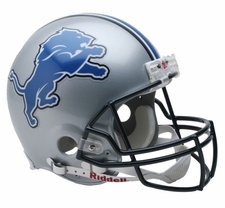 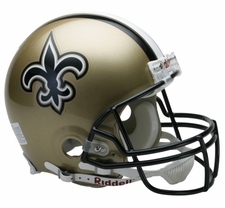 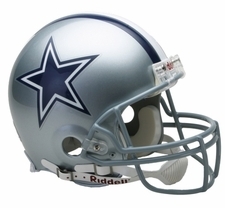 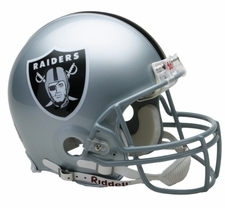 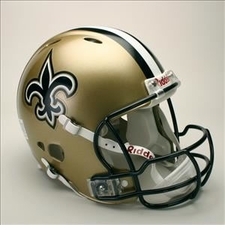 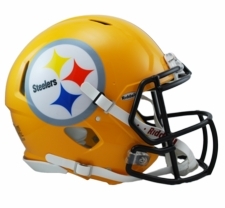 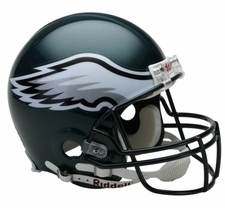 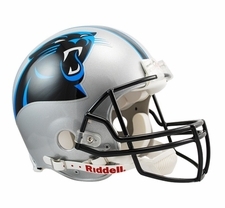 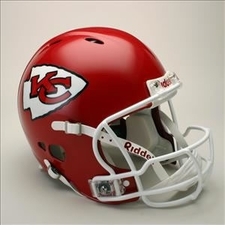 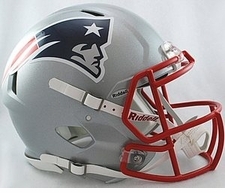 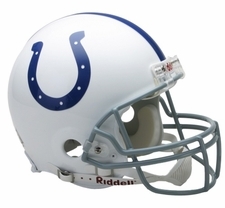 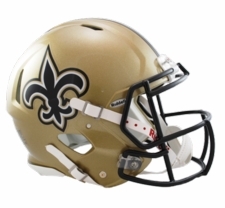 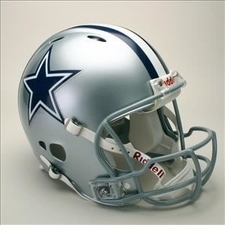 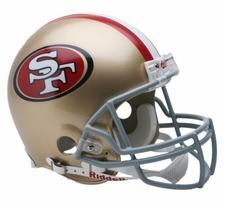 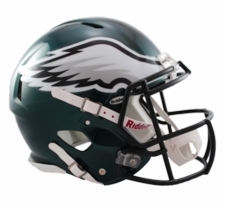 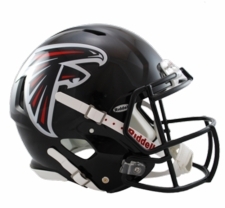 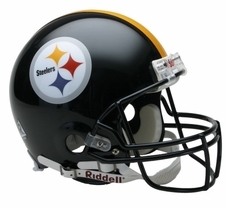 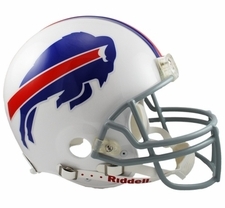 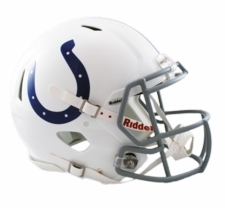 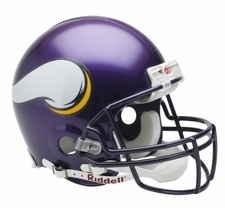 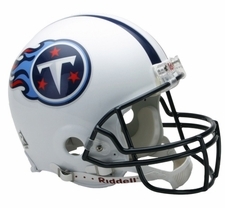 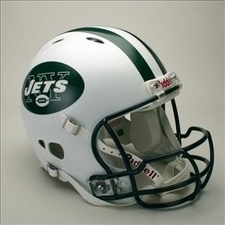 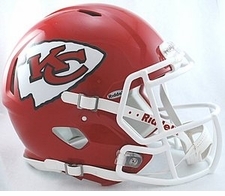 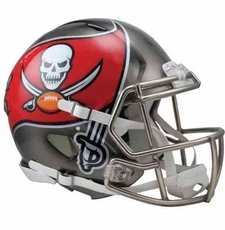 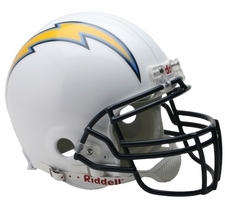 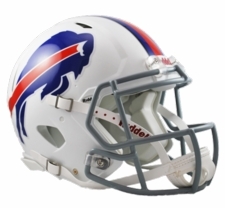 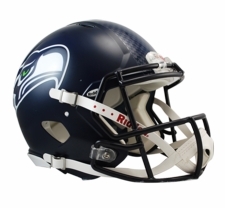 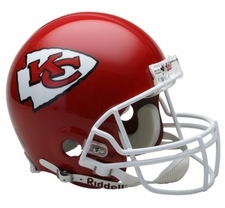 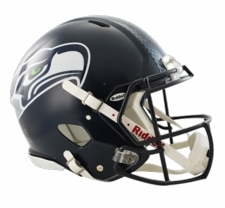 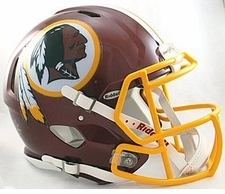 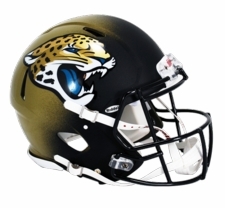 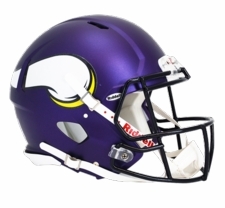 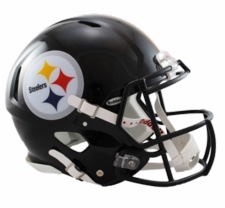 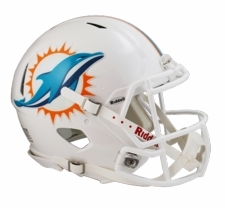 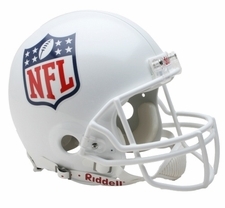 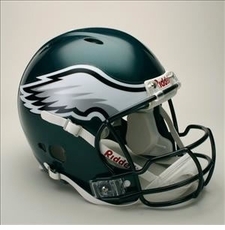 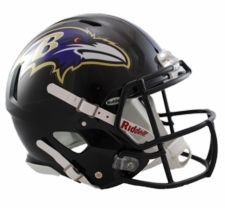 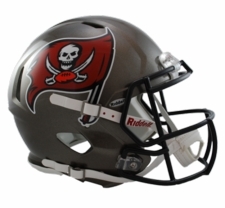 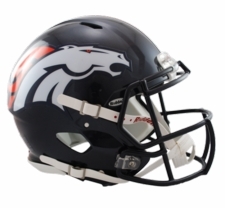 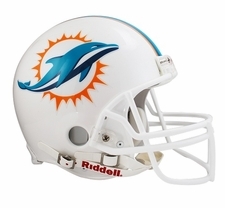 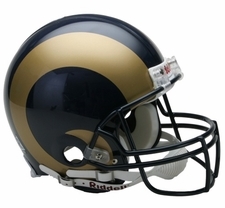 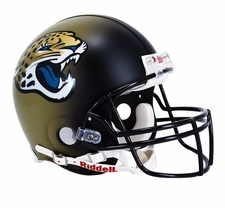 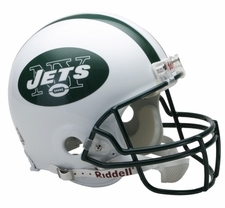 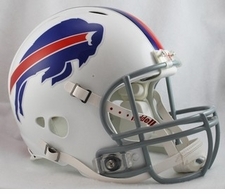 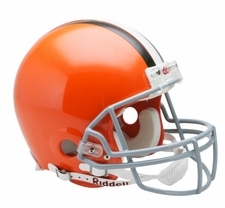 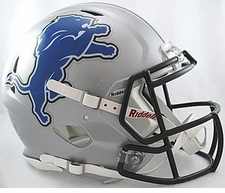 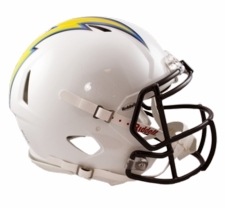 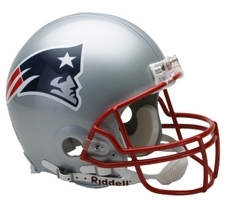 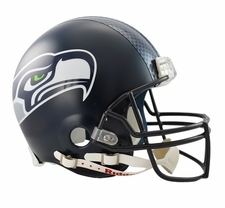 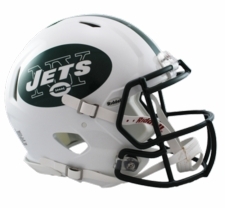 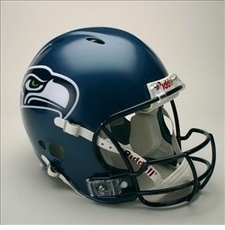 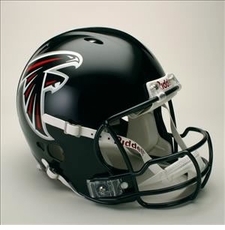 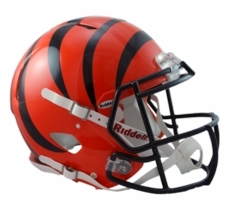 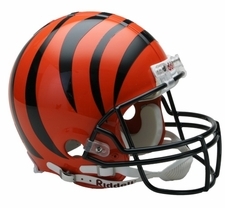 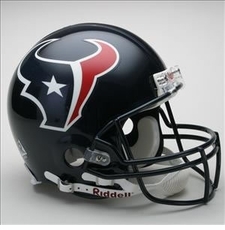 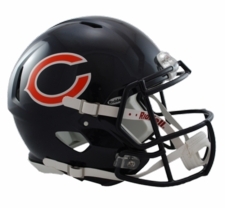 NFL Authentic Revolution / Proline helmets are perfect for display, gifts, and for autographing. 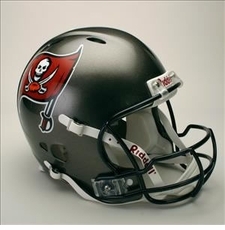 Helmets are made in a standard size large by the manufacturer.